Bunions, fallen arches, hammer toes, achy, stiff uncomfortable feet? This workshop will explore how to stretch, mobilise, lengthen and strengthen our feet. 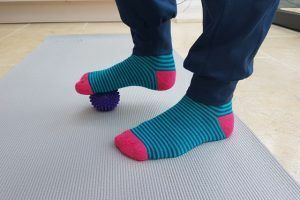 The aim will be to help improve the function of your feet, leading to better balance, posture and possibly reduce pain elsewhere in the body. You will leave with your feet feeling amazing!